With developing technologies and changing demographics, we use the following channels to distribute the content we create. Click here to see a diagram of our channels of distribution. We have been blessed with solid partnerships with the following Christian satellite stations. 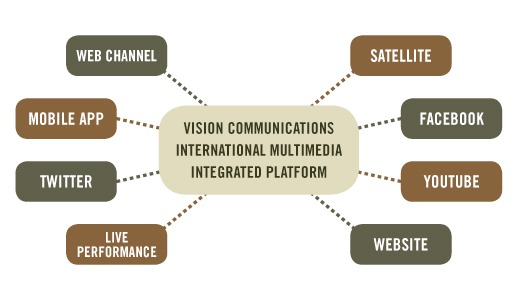 They cover the Middle East, North Africa, Europe and North America, and also stream their programs on the Internet. Click here to see the app. Our content is distributed regularly through these popular media. Click here for a sample. We hold concerts and rallies where we present the gospel to live audiences in the Middle East, Europe, North America and Australia. Click here to see an example.